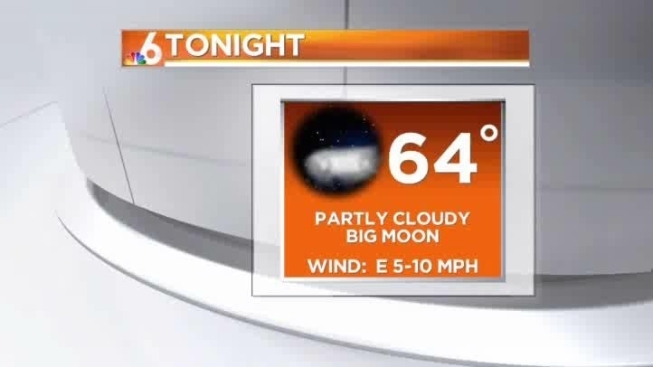 After a cool start Monday morning, the afternoon will warm up nicely into the upper 70s in South Florida. Expect partly sunny skies with light easterly winds. For the boaters on Monday, expect east/southeast winds at 8-13 knots, 2 to 3 foot seas and a moderate chop on the bay and inland waters. If you are headed to the beach, the water temperature is 80 degrees. Some minor coastal flooding is possible at a few beach locations later today with the next high tide cycle, around 6:30 p.m.